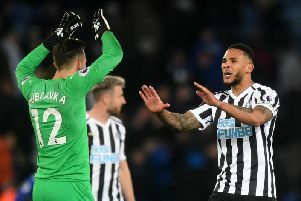 Martin Dubravka and Jamaal Lascelles. Jamaal Lascelles says Newcastle United have some that money can't buy. The club is 10 points clear of the relegation zone with four games left to play after Friday night's 1-0 win over Leicester City. Newcastle were tipped for relegation early this season after Benitez was forced to sell to buy last summer. And pundits, notably Richard Keys and Andy Gray, lined up to question Rafa Benitez's tactics in the first half of the season. However, United, helped by January signing Miguel Almiron, have pushed on since the New Year, and the Leicester result effectively secured another season of Premier League football at St James's Park. “We’ve proved people wrong again," said Lascelles, Newcastle's captain. "It’s another season where we’ve been written off, but we’ve proved people wrong. "Pundits seem to like going against Newcastle, saying ‘oh, they’re not good enough’ or ‘they haven’t spent the money’, but we’ve proved you don’t need to spend the money if you’ve got a good group of players in place. "Fulham went out and spent I don’t know how much money, and they’ve gone down. It’s about the manager, it’s about the fans and the support, and it’s about the players and how much they want it. "We’ve got all three of those things in place, and when you combine them, you get a good team. "It doesn’t matter about how much the price tag is for one player, it’s about the team and the city being as one. That’s why I think we’re so powerful as a club." United are 15th in the table ahead of Saturday evening's home game against Southampton. "But I’m proud of what we’ve done. From me becoming captain and lifting a trophy to last season finishing 10th, and hopefully this year ending up somewhere like that, it’s very special. "A lot of people will be looking at it and thinking ‘how are they doing that?’. But, like I said, it’s a combination of our work ethic, the manager and Newcastle as a city coming together. It’s really pleasing." Benitez – who is out of contract at the end of the season –last month reopened talks over a new deal with Newcastle's hierarchy. And the hope on Tyneside is that those talks can now progress now the club can plan for another year of top-flight football. Lascelles wants the club to keep Benitez at St James's Park – and to mount an even stronger challenge next season. “Everything that goes on is through the manager, and we can only thank him for what he’s done for us," said Lascelles. "Since he’s been here, everything’s been positive and on the rise. As players, he’s been massive for us. “We know we can get better. That doesn’t mean by signing players, it just means by keeping on listening and learning from the manager. "We’re still getting to know the league really, not that many players have played that much Premier League football. When we gain a bit more experience, we’ll get better. 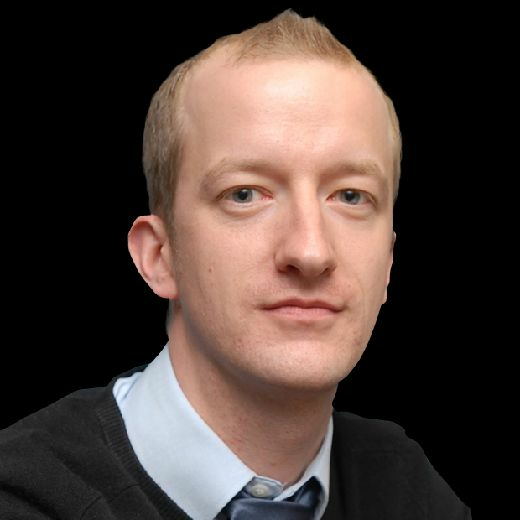 "We still need to get a bit more savvy and streetwise on the pitch. There have been some games we’ve lost through fine margins, and it hasn’t been because of a lack of quality or work ethic. "If we’re winning, it’s maybe been because we haven’t got the ball in the corner or committed a little foul at a crucial moment. "When we’ve got a bit more experience of the Premier League, I think that will be a big difference." Perez flicked a superb Matt Richie cross over Kasper Schmeichel in the first half with his head, and the team held out after the break to claim a second successive win at the stadium. “We’re over the moon," said Lascelles. "We knew it was going to be a really tough game. Leicester have got a lot of experience, and a lot of young flair players in their team who know what they’re doing. "They’ve got a good manager, but we had a game plan that we’d worked on all week in training, and I think we really frustrated them. I think the manager will be over the moon. “Everyone’s put in a real shift. The work rate from everyone was phenomenal, midfielders winning second balls, attackers running in behind, defenders battling with their players up front. "Martin (Dubravka) came up with the goods when he was called upon, it was everyone. "We’d been working hard in training, and with this team, whenever we need something, we always give 110%. We definitely need to make sure we offer that because in games like that, it pays off. “It says a lot about the character in the dressing room. We knew it was going to be difficult, but we believed in ourselves and kept on going. "Ayo came through with some quality, and after that it was about holding on for the win. It takes us to 38 points. "A lot of people will say we’re safe now, and we probably are, but we still have to take care of business, stay fresh and keep going."